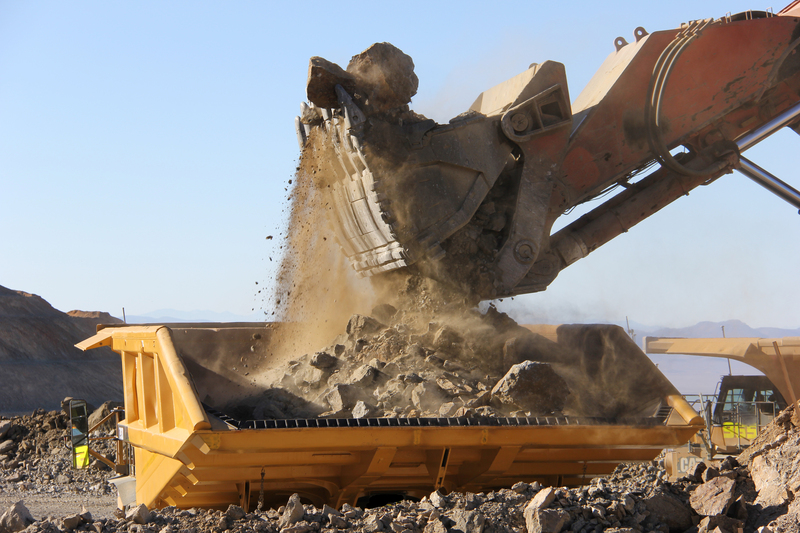 Haul Truck Lining Systems – Experience Counts. Within the mining and mineral markets, Haul Trucks continue to be the primary method of moving material from the mine to the processing areas of the operations. Whether hauling 400 or 40 tons, the most critical aspect of moving material is the actual availability of the equipment. High impact and abrasive wear are inherently problematic in hauling rock and ore, and the majority of truck boxes used are lined with steel or other abrasive resistant metals to combat these problems. For more than 20 years, Valley Rubber has provided Rubber Haul Truck Lining Systems that have allowed their customers to experience a significantly improved fleet availability and reduced maintenance costs over the life of the truck. 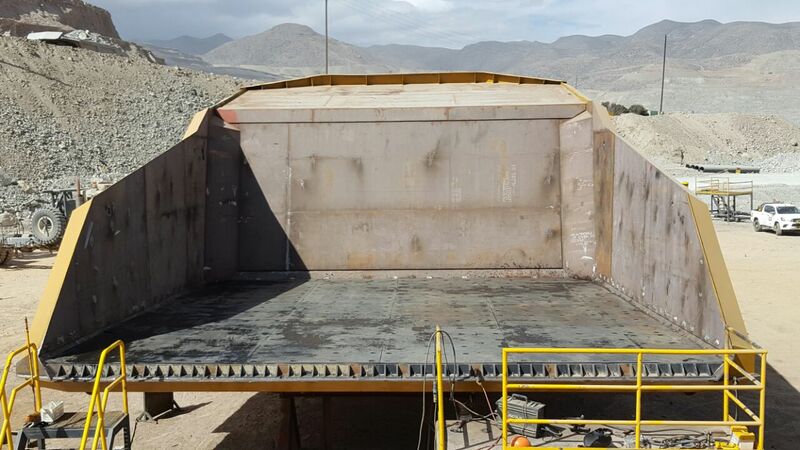 The Rubber Lining Systems are designed for a long life of abuse, with many operating beyond five years from their first installation, which is simple and quick compared to the steel liners it typically replaces. The rubber liners have the ability to absorb 400% more impact force than traditional steel systems. That absorption not only protects the dump body where many maintenance hours are spent repairing steel structural cracking, but also the truck chassis. The benefits of the Rubber Lining Systems extend beyond better impact and abrasion resistance, with drivers experiencing the reduction of the whiplash effect on their bodies. This occurs when the truck is being charged along with the deadening of noise inside of the main cabin and in the mine. 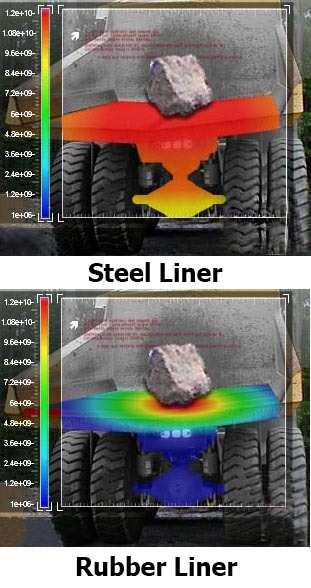 (Photo Right) Stress Test-Rubber Haul Truck Liner offers extreme impact absorption and abrasion resistance. Valley Rubber welcomes the opportunity to tell you more about our successes with Haul Truck Lining Systems with operator references in both high volume, 24-hour-a-day mining facilities and smaller 8-hour-a-day/5-days-a-week aggregate operations. If you have a fleet of CAT 797’s or just a single 40-ton articulated Haul Truck, we have a lining system to suit or we will design one for your specific needs. Visit ValleyRubber.Solutions or call 1.256.784.5231 and find out how our experience can help you save.